The Chandragiri village near the confluence of the Payaswini River and Arabian Sea became famous thanks to the Chandragiri Fort. 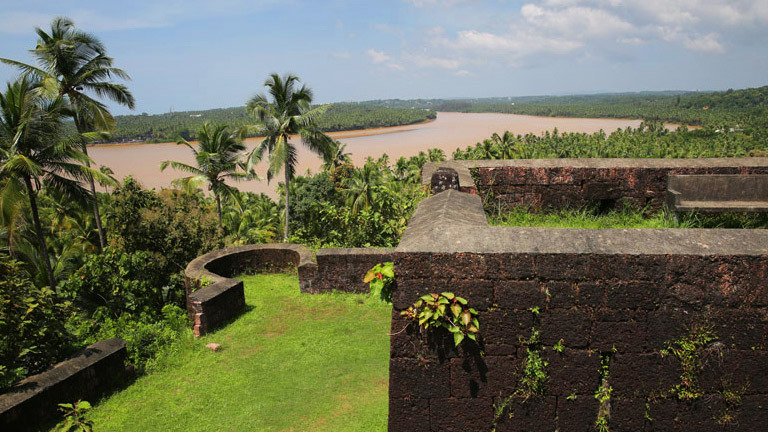 The Fort was built by Sivappa Naidu of Karnataka in the 17th century. It was one among the many forts that he built. Only the remains of the Chandragiri Fort exists today. The sight from the Fort of the confluence of the river and sea and the sunset is enchanting.